Custom Store Home Page, Custom Logo, Categories, Custom Invoice Logo, Profile Page, Policy Page. Hubby John is a Retired Fire Chief and loves all things Fire Department related. 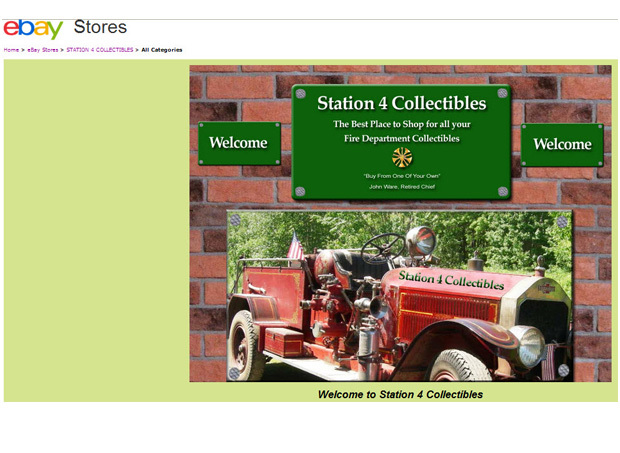 The picture on the store home page was taken by us on a trip we took to New England. It has a special meaning to us and we wanted to use it on John’s home page. We are now selling some consignment items from a store owner in Vermont on John’s site as well.